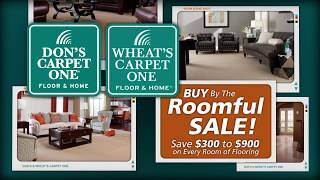 Thanks for considering Wheat's Carpet One as a source for all of your flooring needs. We have been serving the West-Central Alabama area for more than 45 years! From project conception to implementation, we've got the best flooring brands and products to help you get the job done. Our wide array of products include ceramic tile, carpet, sheet vinyl, vinyl tile, custom rugs, hardwood, cork, bamboo, laminate, natural stone, backsplash tile, and more. Whether for your home or business, we have a professional staff of flooring designers and CFI certified installers dedicated to helping you find the best flooring solutions. We promise you'll love the way your new floors look or we'll replace your floor FREE - that's what we call The Beautiful Guarantee. After you have finished exploring our website, we invite you to visit our store located at 51 McFarland Blvd - Northport. Of course, please feel free to call us at (205) 349-2233 to schedule a free measure and estimate.